The Yeti springless trampoline range is built for off-the-wall fun with their slanted bounce zone and larger size offering unlimited possibilities for entertainment. 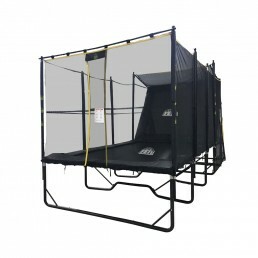 With its thick padding, safety nets, and springfree technology, Yeti springless trampolines give kids a safe place to play, exercise, and leap for the stars. Yeti trampolines are also great for fitness with kid’s exercise videos and an optional basketball hoop attachment available. 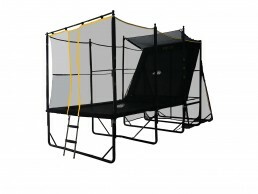 Inspired by our kids and trampoline parks around the world, the Yeti springless trampoline offers the perfect combination of unlimited fun and safety. There is no other home trampoline in the world quite like a Yeti.